This remedy I've just recently started using but I can give it a huge thumbs up for helping with my digestion. I've always had a hard time with that. Thanks so much for this remedy!! I was on apple cider and vinegar for about 2 years back in the 90's. I quit when I retired from the Government. It always made me feel and look better. I now, at 77 am going back on it. I am using it in conjunction with a fasting regimen, and it's a powerhouse that keeps you energetic, positive and relaxed. I put it in a teapot, the honey, the Bragg vinegar but I also add a tea bag of 100% PURE CANADIAN ginseng tea, grown and produced only here in Canada. THAT is a dynamic combo, I drink the entire teapot over the course of a day. I used this mixture for my respiratory issues and it worked. It increase my lung capacity. I replaced dinner for Apple cider vinegar and honey and the weight loss was amazing. I also felt calm and well balanced. I have just started this remedy for calcium deposits. I also have arthritis in my pointer finger. Let's hope it works! I'm quite sick with major congestion and a sore throat along with a lot of other pains. I am drinking Lipton Hot Tea with 1 Tsp of Honey and Apple Cider Vinegar. I hope it works, I added sugar to kiil off the taste of the acv. I drink 1 teas. honey with 1 teas. apple cider vinegar with a little water and drink this every morning. My husband drinks it also. It has been years since my husband and I have had a serious cold. Maybe a sniffle here and there but nothing serious. Hello readers, all the hype about the taste was no big thing, it was more to the smell than anything else. Put the honey in first then the apple cider vinegar stirred it all up, quick swig just like a tequila shot, not a bad taste. Let you know how it goes in the future with my health. Good health to all. I noticed the difference with my sinus congestion. I drink Bragg apple cider with honey and garlic everyday for my heart and other aliments. First " the recipe ": 1/2 t of fresh ground ginger root, 1oz Apple Cider Vinegar w/Mother, unfiltered, not pasteurized, 1oz Pomegranate Juice - fresh, 2 T Citrus Puree, 4 lemon, 4 lime, 2 orange and 2 grapefruit pureed in blender, quarter fruit & place in blender, peel, seeds, fruit complete Herbal Tea Bag, Ceylon Cinnamon Stick, 30 oz Hot Water approx, Steep & Sip all day. Headaches - gone. Energy - increased extensively. General Overall Health - great & things that cannot be claimed. Extremely Satisified. Christi Kline, your post on 26/09/2015... Your severe and persistent intestinal sickness is called clostridium difficile. It is very common, very tenacious, very often undiagnosed. (Antibiotics cause it in many cases, killing off the friendly bacteria and the c.diff. takes over.). This is not a diagnosis, of course. It is a sincere recommendation that you ask your doctor to test you for c.diff. Untreated, it flourishes and can be devastating. Looking forward to my future with my apple cider vinegar & honey drink. All my life I thought vinegar is bad for it will weaken the blood to sugar. But now I learn which vinegar is good for you. Now I am trying it. I lost 4 kilos in two months of taking apple cider vinegar w/ honey. I use this for heart burn all the time and for sore throat. I had been battling severe diarrhea for the last 3 years after being prescribed some strong antibiotics. I have tried everything from yogurt to eating gluten free with no relief until I began drinking ACV and honey every morning. It's only been a week but my stomach feels normal for the first time in years. I'm looking forward for a great health. I learned to use it from a 90 yrs old American Christian friend. Cider vinegar is good for relieving pain and healing minor burns (not for treatig severe burns with intense pain). Be sure to dilute the vinegar first before applying. I grew up on a farm in the 1940s where we had a wood burning cook stove. Many a times I burnt my hand opening the stove lid to add more wood. Apple cider vinegar was always handy to relieve the pain and heal the wound. I've just started wth honey and cider vinegar mixture. lets see results. I want flat abs. Honey is good for cough. About three years ago, I was told I have approx. 21 stones in my kidneys. Doctors took too long and wouldn't fix the issue. I took their prescriptions for more pain. Since I found out about the acv and honey mix, few weeks ago, I have been trying to become regular. Although, since I started, I have been in less pain. Keep in mind, for some organs to get better, there is the detox phase. Keep pushing fluids. I tried this for the first time today. I have very bad arthritis. I took my first sip and it really wasn't bad at all. So I started drinking it down like a glass of water. As soon as I got about 3 gulps down it came right back up. I know I have a weak stomach and don't want to give up but very nausea right now. Anyone else have this happen? Just started today. I have high blood pressure high cholesterol, and arthritis. I'm so hoping that this works. I've been drinking water/vinegar/honey each morning for about a month now. For my overall health. I tried it without honey the first week or so - would pretend I was eating salt & vinegar chips (which I love). It was hard to get down. But then I added some raw honey and it changed everything. It tastes delicious and your article is correct - the more you drink it the better it tastes! Thank you! Keep up the good works, specially acv and unpasteurised honey plus ceylon cinnamon proven by myself. It reduces your blood pressure and also sugar. Thanks guys. My cholesterol was 480, it never came down but with the usage of apple cider with honey --mine cholesterol came down. I felt a bit relieved. My husband and I have been using Bragg's Apple Cider vinegar for 3 yrs. Benefits helping us both to lose weight, burns fat. I have been starting my day with ACV and honey for three months now, and after taking omeprazole for fourteen years, was able to wean myself off. Also now have fingernails and have stopped needing moisturizer on my face! I feel much better, too, and am losing weight. Very much worth getting used to the taste of vinegar! I am 95 years old, good health. Most people think I am approx. 75 to 80. I have been taking apple cider and vinegar for approx. 45 years. I have approx.30 or more friends who are also taking this. Take this. My skin is very clear. I was diagnosed with chronic kidney disease on a scale of 3 out of 5. It was picked up form analysis of proteins from blood samples. I had been very tired, also had what seemed like thrush in the back of my throat and was very uncomfortable and irritating. The diagnosis was a shock to me. I had been in the habit of having a glass of wine every evening and two or three at the weekends. I don't drink any alcohol now, only one cup of coffee a day, very little cheese/dairy, I'm a fish eating vegetarian anyway. I started to drink two tablespoons of cider vinegar and honey in water per day four weeks ago. I have lost the thrush altogether, am much less tired and feel much more 'with it'. I have been trying the Apple Cider Vinegar many times and it makes smooth digestions and also I use for my face normaly to remove black heads and mark of pimples. I'm happy to use this Apple Cider Vinegar. Thank you! I agree with you, the benefits outweigh the unfounded concerns. Those doctors / dentists, they go by the book. I asked my doctor what she thinks of ACV, she said she doesn't know, and doesn't know anyone drinking it on a regular basis. My first thought was, "frog in well", doesn't know anything about outside world. Yes, Joan, I have heard this before from a couple of visitors who were warned by their dentists. The concern is with the acidity of the mixture. I am unable to ascertain how true this issue is, but if it too worrisome, my suggestion is: get a good mouth rinse immediately after taking the drink each time. On the other hand, interestingly, there have been many reports that shared the benefits of apple cider and honey as a remedy for tooth issues (ie. clears infections and prevent tooth decay). I find that some dentists'/doctors' answers are often very prescriptive - conveniently matching symptoms with cause, without really having a holistic views of health issues. If an issue arising from a precious food can be easily avoided by taking a particular action, then I feel we shouldn't be abandoning the whole idea of eating that food which could possibly bring many answers to bigger health issues. Hi Ruth, I have a question about drinking ACV everyday, has anyone mentioned about ACV ruining our teeth enamel? I read somewhere it could peel off our teeth enamel. Dorothy, there are many postings on honey and cider vinegar as remedy for arthritis on this page and other pages on older postings (See the links in this page). You may want to do a Ctrl F on your keyboard to find "arthritis" in the pages of postings by others. I have painful arthritis which developed just six months ago. I am 78 years of age. Will cider vinegar and honey help ease the pain? Don't want to stay on Panadol Osteo as I take many other chemicals for heart, lung cancer, high blood pressure, silent pnd and indigestion. What has been your experience please. I have been weighing myself every morning and all I did was take a tablespoon of honey and vinager and mixxed it in my aloe vera jiuce that I drink every night and when I woke up I was 2 lbs lighter! I have just stated today, come 3 weeks I will be more than happy to share the results. We will try the mixture. I have been drinking it for over 5 months and in don't have knee pain in the morning when I get out of bed also I have more energy and I am losing weight. I am 17 years old and I was diagnosed with rheumatoid arthritis 3 years old. I am so tired of consuming too much just too much medicine. I heard of this apple cider vinegar & honey from my teacher and I am now day 1, just started to use this product. I heard that it is very good for arthritis. I look up to it to give me a very good result. Donna, coincidentally, a couple of days ago someone also wrote to me and told me about feeling thirsty after taking honey and cider vinegar. If the quality of the honey has been checked and ascertained to be 100% pure and unadulterated, then it could be very well a side effect. Considering the fact that you are also experiencing the urge to go to the bathroom more, unless you are pre-diabetic and are unable to take sweet foods, I reckon that these may be signs that the body is working on detoxing and cleansing. Take more fluid and drink more water to help the system flush and expel any toxins and impurities from your body. I have just started this regime on Monday, today is Thursday. I drink it twice a day 1. In the morning 2. At night before bed I have noticed that I am not craving sweets, not as hungry but I am very thirsty. The only complaint I have so far us I feel the urge to go to the bathroom more and I only tinkle instead of the flow I feel is coming. I would like to know if this is a normal effect or do I need to change something. I am interested in lowering my blood pressure, losing weight, and living a healthy lifestyle. I just started doing this about 5 days ago to see if it would help get rid of a cold faster. I am on a prescription medication that has lots of drug interactions so I have to be very careful what I take and with this being an all natural product, I have no worries. It seems to be helping clear my sinuses and I don't have a barky cough associated with a cold. My Mom will be 88 in October and has Bragg's ACV every day. She is incredibly healthy. The only thing that we can determine that is different from her and others is that she religiously take Bragg's ACV, everyday! This is so true, the old remedies work people my grandmother left us alot of things like this to keep in good health. Years ago I read Dr Jarvis's book and decided the reasoning was sound. I've been working landfills for over a decade and frequently had sinus infections and sunburns. Also, I had been feeling joint pain from arthritis which had developed after a broken wrist. The ACV/honey mix is a definite cure for me! Lately I have also added a pinch of cinnamon which helps control the blood sugar. Everyone I know who tells me of their arthritis (or lackluster hair or fatigue, etc) I tell my story. It has helped every one of them and me. For sunburns too! Just rinse the skin with the mix and, almost instantaneously, relief! I've been using apple cider and honey for a short time now, but the mix I've been using is different, I use two tablespoons or AC and one of honey mixed with 1 cup of water. I learned about AC and honey from a forum that I ran into by accident. 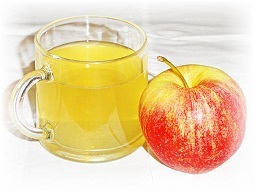 There was a man that claim miracles: "Apple Cider Vinegar has cured: varicose veins, weight lose, tendonitis, wrinkles. In April of 2005, I came across a booklet for ACV, at the time I was 50 years old I played sports in high school, a construction worker for 20 years and a mover for the last 15, so I have done a number on my body over the years. My daughter convinced me to start taking ACV... I have taken it everyday since! The health benefits have been many. The first thing I noticed was my hair and nail growth, doesn't seem like much but my hair was white and had no color, but was growing back in blonde! I thought that was amazing! Over all the years of abuse on my feet and ankles I had purple feet from the varicose veins, it really was a severe case, after two months of use my feet started to look clearer to me, but I wasn't sure so I started taking pictures....I now have NO varicose veins on my feet, legs or anything. In April of 2005 I was a size 38 pants, today I am a 32 pants. I have not done any extra exercise to achieve this, It simply melted the pounds away (I also have a six pack again). The ACV has given me a facelift, I do NOT look like I am 51! My wrinkles around my eyes have literally disappeared. My skin is tighter, firmer every where. I feel like a new man. Over the years while abusing my body in my everyday life (working) I developed new and painful body movements, aches where I never had before and eventually the Doc diagnosed me with tendonitis (really painful) in both of my shoulders, being a mover this isn't good for business, it really started hurting my paycheck (then I started the ACV). I really had not realized I stopped taking the naproxen the Dr. had prescribed until I went to see him for my physical. He asked me if I needed a new script, that's when I realized I used to live on those pills everyday and hadn't needed them once since I started taking the ACV, so I told the Dr. about the ACV he was awed, seeing the results for himself he decided to start taking it, in fact my Barber, Boss, Coworkers, Kids, Brothers and sister all now take it with health benefits of there own. I tell you I LOVE ACV it has changed my life and made me a new healthier man. I actually believe I have a long healthy life ahead. The recipe I use everyday is: 2 table spoons of ACV and 1 Tablespoon of honey. Add water to taste. I do this two times a day, everyday. Good luck to all in your journey to a healthier you! My Dr. said not to drink too much acv. It will throw your electrolytes way off. I drink 2 capfuls twice a day. I think 2 times a day should be ok. Since I have read the book of Dr. Jarvis way back in 1980, I started drinking the concoction of Apple Cider vinegar and honey in a glass of water 3x a day every meal time. The effect was so astounding because I was suffering so much with chronic migraine and it disappeared and now I don't even suffer from headache. My fingers remained straight and no pains at all. Unluckily, way back in 1998 I stopped taking the Apple Cider so now I am suffering with arthritis. But now I am taking it again because I remember it is a panacea for all diseases. I always recommend this stuff to everybody whom I know. Started 2 weeks ago an lost weight with it 6 lbs, gives me energy, my joint don't hurt like they used to, no more head aches, have no bath room problems, etc. Very interested in the above. I'm just starting taking it to get rid of kidney stones. I made a research looking for a possible remedy for my recurring sore throat. I found this article and although this did not mention any possibility of curing sore throat, I started taking the potion right away. I just hope this honey and apple cider vinegar mix is one magic potion. I use Bragg organic apple cider with the "mother". My local honey in a Republic of Tea tumeric ginger tea. It tastes just like a warm apple cider. I always tell others that my guts literally hate my guts and I have searched high and low for the perfect comfort; this drink mixture seems to do the trick to keep me regular, ease bloating, acid reflux, inflammation and general gut discomfort. I am taking apple cider vinegar and honey for painful osteoarthritis and an interested in reading more. I was told by the Doctor I needed therapy for arthritis in the hip area. I had pains through the abdomine area. I started using turmeric, honey and vinegar with the mother three or four times a day. In a week I was without pain. I was shocked. The turmeric is a natural spice used for inclination. The vinegar and honey I believe are the best natural way to heal our body. Many other benefits as well, please do yourself a favor and look the powerful things they do. Beats the doctors' ideas by far. I was introduced to ACV barely a fortnight ago and I have seen a lot of improvement in my general wellbeing. I take ACV with honey juice first thing in the morning, before lunch and supper. I plan on starting tonight Braggs Cider vinegar and honey drink before bedtime. I'm hoping to see improvements in joint pain I have started to experience. I stop taking a lot of pills since I started it. Thank you. Years ago when I gave myself a sick stomach by overeating processed and junk foods on a long car trip, the mother of the large sharecropper family I was visiting went to the cupboard and poured me apple cider vinegar and honey in warm water and made me drink it all up, claiming it was an old remedy. And it resolved the stomach ache so well that I continued to use the treatment for years, before cleaning up my diet. Now I'm older and wiser and just avoid most stomach pain by eating better, including being gluten free. But it does work if you're suffering stomachache. My mom had polymyalgia rheumatic and she wrapped brown paper bags soaked in bragg Organic raw apple cider vinegar on her body all day because the doctors said she would not walk and could go blind with this disease and to be honest she also took a tablespoon a day. That was many years ago now and she has turned 90 and is in perfect health and does not take any medicines what so ever but still takes her apple cider vinegar as her daughters do as well, every morning. I believe whole heartedly that it saved her life and continues to revitalize her and keep the healthy flora in our bodies. I'm healthier today. I used to have numerous sinus infections and congestion, but nothing today. I drink a tablespoon full of Braggs apple cider vinegar morning and night mainly to help with hbp protruding stomach. I just recently had a bad cold/throat infection and went to the doctor. He didn't prescribe anything and as the days passed by I seemed to be getting worse and worse. I read up online on this wonderful drink and decided to try it. I boiled some water in a tea pot. In a cup I mixed the hot/warm water with 1 teaspoon of manuka honey, 2 tablespoons of Bragg's ACV and lemon juice of an entire lemon. I've been doing this for 3 days and it has been a great help in clearing up the infection. ( I think any kind of honey will do, not just manuka, but raw and organic honey works best). I lost 3 lbs in three weeks with one tablespoon Cider Vinegar and one tea spoon honey before meal. Apple cider and vinegar works wonders in our bodies. I've been using it for the last five months and the acidity i had and ovarian cysts have disappeared, my friend advised me to try and am glad it has worked. Every woman should try this. I have been drinking this mixture since January 2015. I have noticed weight loss and a smoother complexion. I have just started this & see a difference in my Joint Pain caused by Arthritis (OA) & Fibro and Chronic Fatigue Syndrome. I highly recommend women especially add this to thier daily diet. We haven't come across reports on specific application of honey for liver cancer and cirrhosis. But when taken daily before bedtime, honey can be very helpful in building liver health in the long run: Honey Diet for Hibernation. What health benefits does it help with liver cancer and cirrhosis. I am 72 years old and at this age I want to try Honey and apple cider vinegar as I have heard it helps for the old bones and joints. I drink honey in my coffee and tea, instead of sugar, and I drink a honey and lemon juice mix for my cough and this helps. Thanks. Makes me feel better all day. Roe, you may want to check out Patricia Bragg's book mentioned under "Resource on Apple Cider Vinegar" in: Apple Cider Vinegar and Honey Remedy or D.C. Jarvis' Folk Medicine: A Vermont Doctor's Guide to Good Health. I want a book on apple cider vinegar remedies. I have used vinegar and honey for years I am now 81 years and still using this formula type mix. I am looking for more honey cinnamon and vinegar health care. I love it!!! Linda, honey itself is beneficial for those who are trying to lower their cholesterol level. Ref: Honey Lowers Cholesterol. But it is believed that when combined with certain food, it has enhanced healing power. Both Honey and Cinnamon Remedy, an Ayurveda recipe and Honey and Cider Vinegar, Dr D. C. Jarvis' honey drink are used for lowering cholesterol. We do not have data to support which is more effective. It appears that individuals respond different to different foods/medicines. To find out which food is most effective for your own needs, you may want to take them separately and assess, ie honey and cinnamon, honey and cider vinegar at different times (eg a few weeks for each). Is it the honey or the cinnamon or the vinegar that can reduce cholesterol? I've found recipe for honey/cinnamon and honey/vinegar - which is better, or combine all 3? Thanks a lot for this page & hopefully would be a valuable remedy. Thanks again. I mixed a cup of hot water with 2 tablespoons of honey, 2 tablespoons of Apple cider vinegar, 2 tablespoons of lemon juice, and a dash of cinnamon. So easy to make and it always helps me feel better when I am sick!! It tastes really great too. I had a sinus drainage cough that I could not shake. It started in October. On January 1st I started mixing 2 TBS Braggs ACV, 2 TBS raw honey, 1/2 tsp cinnamon, 1 TBS lemon juice. Heat for 15 second in microwave and stir. I just drink it from the small dish. My nightly cough is gone. I have slept wonderfully for the last 3 nights. My shoulders quit aching from arthritis and I have a bit more energy. I do this each morning. Oh! My blood sugar is staying at 110. I've been drinking 1 tbsp Braggs Apple Cider Vinegar and 1 tbsp pure honey (produced locally) mixture for about a month to 6 wks. I drink it 2-3 times per day mixed in a half glass of hot water. I sometimes mix in some cinnamon. It is delicious! I have noticed that it has eased my arthritis and seems to have significantly reduced my acid reflux occurances. Before starting the regimen, I was experiencing some arrhythmia, which has virtually been eliminated. I highly recommend the vinegar/honey drinks and plan to do this from now on. AcV, honey ,and cinnamon have many uses. It lowers diabetes. It helps rid people of colds and cough. This combination is great for weight loss benefits. Also is suppose to help inflammation in arthritis etc. End of "Postings on How Apple Cider Vinegar and Honey Drink Cures (2015)". Back to Latest Posts in "Apple Cider Vinegar and Honey Cure Many Ills".